Always on the lookout for new teas to try, I was delighted to spot Cindy’s Tea at the festive Christmas fair at Hopetoun House on the outskirts of Edinburgh. Bright colours of herbal teas displayed in dainty bowls and the fragrant scented aroma emanating from them, caught my attention. I had to investigate. 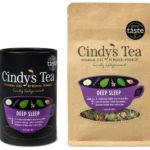 Cindy’s Tea is a range of botanical teas, all created to combine excellent taste with well being qualities. The carefully selected herbs have been blended to provide a quick pick-me-up to tackling common ailments such as insomnia, skin conditions to soothing a rumbling tum. Not the best of sleepers I had to try the Deep Sleep blend, a calming night tea to help give you a restful night’s sleep. Infused with lavender, lemon balm and valerian it has a smooth aroma which captured the lavender and lemon in a gentle drift. Sometimes dried lavender can be a bit sharp but this was very refined. (I’d quite happily have sprinkled it in bowls dotted around the house instead of pot pourri). The proof is in the pudding as they say, so following the recommended guidelines, I added 2 rounded teaspoons to a small tea pot and let it infuse for 3 minutes. Savoured just before bed, I absorbed the fine fragrance and gentle flavour of this caffeine free tea. It wasn’t long before I drifted off into a gentle sleep and amazingly didn’t wake up until the alarm went off. 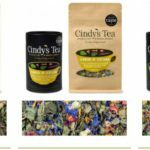 Cindy’s Tea is the brainchild of Cindy Ledgerwood, a qualified medical herbalist with 20 years’ experience. (She doesn’t look old enough – must be the teas!) Cindy’s love of nature and herbs began as a child when she used to search for blackthorn berries with her Gran to make sloe gin. Following her passion, she studied Herbal Medicine in Edinburgh. 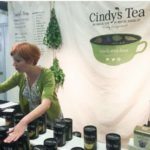 Combined with travels across the globe experiencing traditional medicine and herbal wisdom in Indonesia, Hong Kong, India, Egypt, Japan, Philippines, Mexico and elsewhere, she set up Cindy’s Tea and hasn’t looked back since. 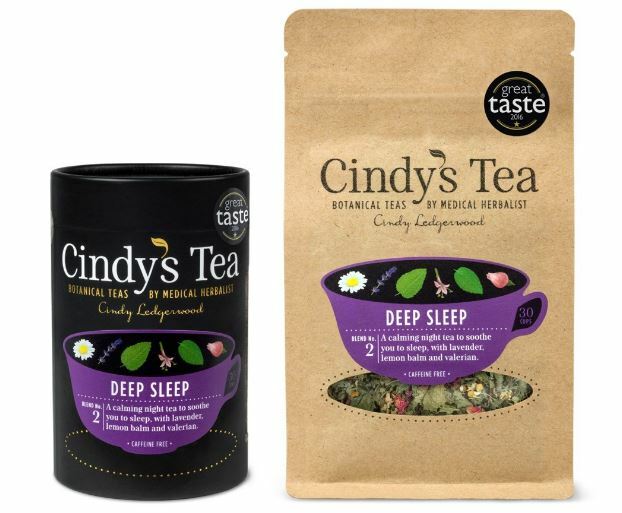 To find out more about the beautiful flavours, scents and tea varieties, why not take a moment to browse Cindy’s Tea and perhaps treat yourself to a few new nice teas to be enjoyed with some well deserved “Me time”. 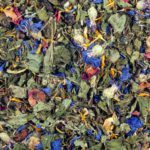 Cindy’s Tea: Botanical teas to sooth your body and soul.